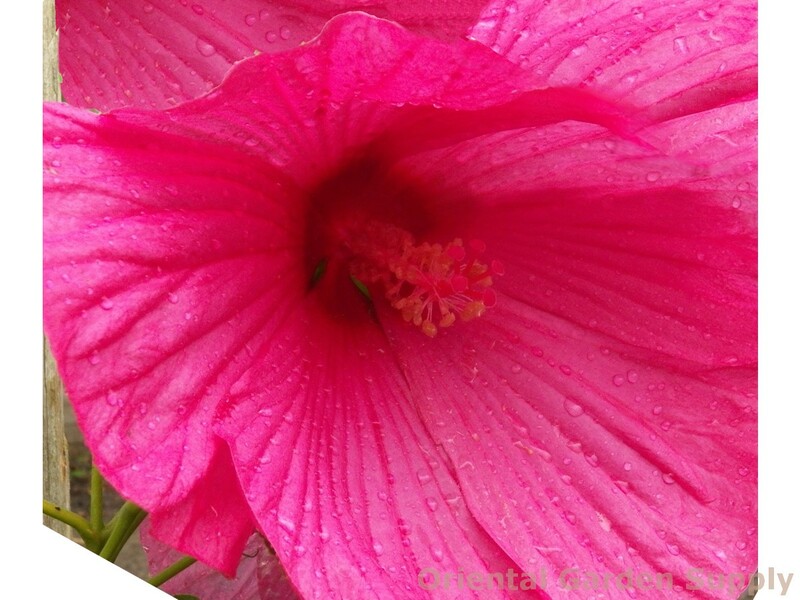 Product Information : Large, showy flowers on this compact variety of hardy hibicus are deep pink with ruby eye. Foliage is deep green. Blooms from mid-summer to mid-fall. A wonderful addition to the summer border!